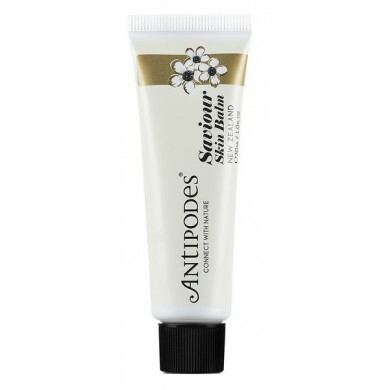 Antipodes Saviour Skin Balm 30ml is an intensely moisturising, soothing and healing skin remedy. This conditioning multi-purpose skin balm offers relief to many skin troubles including dry, cracked skin, chapped lips, grazes, sunburn. 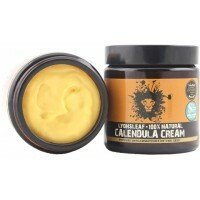 It can also be used to care for baby, soothe skin after shaving and relieve sore muscles. Saviour skin balm is formulated with the unique blend of nature’s richest oils blend. Australian Tea Tree and Totara oils heal and protect with their high potency antibacterial and antifungal properties. Antioxidant –rich Echinacea and potent Vinanza Grape extracts deliver intense hydration and stimulate skin cell renewal. Fragrance free. For all skin types, including sensitive and irritated. 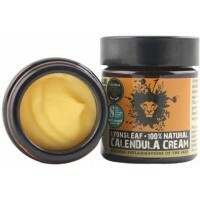 How to use: Soften in your palms and apply to clean dry skin on the trouble areas. Reapply regularly. Suitable for the whole family. Ingredients Ricinus Communis, Limnanthes Alba, Helianthus Annuus, Cera Alba, Daucus Carota Sativa, Calendula Officinialis, Theobroma Cacao Seed, Hypercium, Butropsermum Parkii, Pisium Sativum, Melaleuca lternifolia, Santalum Album, Anthemis Nobilis, Echniancea Purpurea, Totarol, Hesperdin, Vinanza Grape Extract.